“Marty" at work in a Giant Food store. 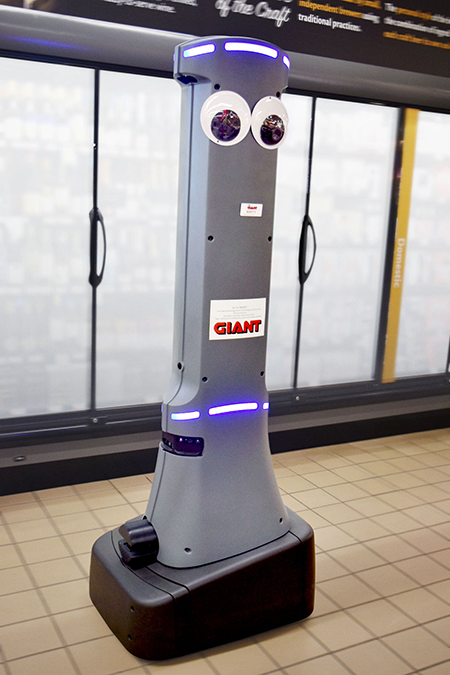 Ahold Delhaize USA plans to deploy robots to nearly 500 Giant Food Stores, Martin's and Stop & Shop locations to help improve in-store efficiencies and safety. In another partnership, Ahold Delhaize USA is testing robotics for online grocery fulfillment. The retailer has teamed up with Waltham, Mass.-based Takeoff Technologies to develop mini robotic warehouses to assemble orders made through online grocery subsidiary Peapod.